Lots of supermodels get into acting, but there is not a huge backlog on supermodel singers. 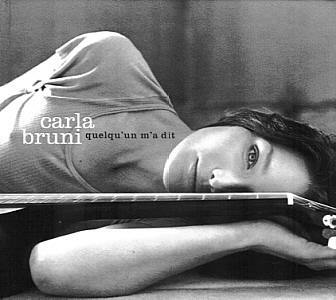 In fact, Carla Bruni is only the third I can think of. The history is kind of hit or miss, too. Naomi Campbell's album was pretty unbearable, but Milla Jovovich's The Divine Comedy was a surprisingly good Kate Bush pastiche. Carla Bruni makes sense to be in the music world, though, if only because some of her exes include the likes of Mick Jagger and Eric Clapton. (Okay, granted, it isn't that rare for a model to hang out with rock stars...) The nice surprise is that her debut album isn't exactly a rock album, it's more a Gallic coffee house folk vibe, and it's pretty terrific. Bruni, who was born in Italy but grew up in France, writes all of her songs in her native tongue of French. She doesn't have an overpowering voice, but it has a gentle soothing quality to it, her vocals caress the words of songs like the quiet acoustic title track like a lover. "Tout le Monde" is a lovely ballad that throbs with understated pain. The one slight complaint I may have of the album is that the mix of Bruni's husky voice and subtle acoustic guitar picking and a small, dedicated but unobtrusive backing unit does cause a bit of sameness in the general sound. It is nice when she changes up the sound a bit like in the beat poetic shuffle of "Rapha�l" or the sixties Lovin' Spoonful vibe of "Le Plus Beau du Quartier." 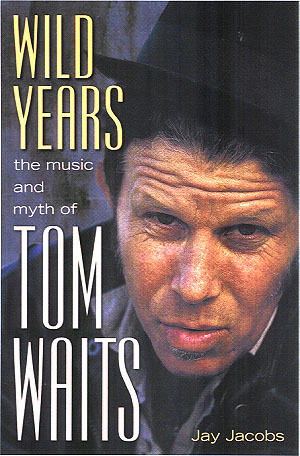 Copyright � 2004 PopEntertainment.com. All rights reserved. Posted: May 31, 2004.